Dr Mukhopadhaya holds a PhD in Economics from the University of New South Wales. His research interests are in Applied Welfare Economics, Applied Policy Analysis, Higher Education and Manpower, Trade and Economics of Law. Dr Mukhopadhaya's publications include three books, 15 book chapters, and more than 30 academic papers in international refereed journals on theoretical and empirical economics. These journals include Research on Economic Inequality, Applied Economics, Journal of Income Distribution, Journal of Asian Economics, Asian Economic Journal, Economic Record, Journal of Contemporary Asia, The Developing Economies, Journal of the Asia Pacific Economy, Netherland Journal of Law, International Journal of Educational Development. His consultancy clients include UNESCO, the World Bank, and the World Health Organisation. Exploration of Australia's trade potential with India and the effect of relaxed trade barriers, Macquarie University Overseas Studies Program, 2019 ($8,500). Supporting Economic Corridor Development through Strategic Planning Framework, Asian Development Bank, 2018-2019 (US$ 33,000). Visiting International Scholar Award to invite Prof Tatsuto Yukihara in 2017-18 ($10,000). Visiting International Scholar Award to invite Prof Jacques Silber in 2018-19 ($10,000). Web-based Analytical Platform for China Datasets, 2016 Principal Investigator (Co-researchers: Guo, F., Cheng, Z., Wang, Y., Jackson, R., Huang, Y., Chris Baumann, Denise Jepsen, Monica Ren, Candy Lu, Jie Meng, Yiming Tang, Ben Wang, Daehoon Nahm, Trish Blazey) MQ Strategic Infrastructure Scheme (MQSIS), ($150,000.00). Provost Learning and Teaching Grant on the project “Academic Honesty and Assessment Practices at Macquarie University”, 2014. Co-investigator (other members are from the Department of Computing, Department of Statistics and Learning and Teaching Centre in the Macquarie University), ($20,000). Australia India Trade and Investment Relationship: Developing a Framework to Promote Sustainable Development, Macquarie University Development Research Grant, 2009-2011 ($50,000). The possibilities for closer economic ties between India and Australia in Capital Goods Industries in the WTO Regime, Macquarie University New Staff Research Grant, 2005-2006 ($20,000). Severance Pay: a Comparative Survey, World Bank 2003-2004 (with Professor Mukul Asher). Economic Crisis and Higher Education in Singapore, International Institute for Education and Planning, UNESCO, 2000-2001 (with Professor G. Shantakumar). "Income Disparity in Hong Kong and Taiwan", Ministry of Foreign Affairs, Government of Singapore, 2000-2002 (S$50,000). "Crisis and Income Distribution in Indonesia", Ministry of Education, Government of Singapore, 2000-2001 (S$30,000). "Income Inequality in Singapore", Ministry of Labour, Government of Singapore, 1999 (S$30,000). Labour and Applied Welfare Economics: Poverty analysis and multidimensionality; Trade-offs between equity and efficiency; Measurement of social welfare; Policies related to economic development and planning, severance pay, population/ageing, gender, welfare and social protection. Human Capital development, linkages between education and welfare. “The Changing Texture of the City-size Wage Differential in Chinese Cities – Effects of Skill and Identity”, China Economic Review. DOI:10.1016/j.chieco.2018.09.008 (with L. Pan). “Is the ADB’s Conjecture on Upward Trend in Poverty for China Right? An Analysis of Income and Multidimensional Poverty in China”, Social Indicators Research. DOI: 10.1007/s11205-018-1985-1 (with J. Yang). "Measurement of Poverty in Multiple Dimensions – the Case of Vietnam", Social Indicators Research, August 2018, 138(3): 953–990 (with Anh Thu Quang Pham). “Empirical Studies on Innovation Performance in the Manufacturing and Service Sectors Since 1995: A Systematic Review”, Economic Papers: A Journal of Applied Economics and Policy, 33(2): 223-248, March 2017 (with S. Kolluru). Book Review: "Measuring Welfare Beyond Economics: The Genuine Progress of Hong Kong and Singapore”, Asia Pacific Economic Literature, 31(1): 96-97, May 2017. "A Brief Survey on Some Issues Related to Income Distribution Analysis", forthcoming, Singapore Economic Review (with H. Vu). "City Size and Wage Disparity in Segmented Labour Market in China", Australian Economic Papers, 55(2): 128-148, June 2016 (with Pan, L. and Li, J.). "Functioning Achievement in Urban Bangladesh: A Comparison with Rural Areas" Journal of Contemporary Asia, 46(2): 323-344, 2016, (with T. Chowdhury). "Old age Income Insecurity in Singapore: A Problem of Non-inclusive Development", Australian Economic Papers, 2015, 53(3-4): 183-206 (with S. Venaik). "Multidimensional Poverty Approach and Development of Indicators: The Case of Bangladesh", Contemporary South Asia 22(3): 268-289; 2014, (with T. Chowdhury). "Are Women Less Efficient in Converting Microcredit into Functionings? Evidence from Bangladesh", European Journal of Development Research, 26(5): 725-742, December 2014 (with T Chowdhury). "Women as marginal workers in informal mining and quarrying, India: A preliminary analysis", Journal of Asia Pacific Economy, June 2014 19(2): 290-309 (with K. Lahiri-Dutt). Australia-India Proposed Free Trade Agreement and Trade in Agriculture: Opportunities and Challenges", Journal of World Investment and Trade, 14:167-97, 2013 (with S. Alam and R. Islam). "Limitations of the Theories of Non-profits and Benchmarking Services Delivery Dimensions of Poverty-reduction Programs in Rural Bangladesh", Journal of Non-Profit and Public Sector Marketing, 24: 325–350, 2012 (with T. Chowdhury). "Education and Child Labour: An Evaluation of National Child Labour Policy in West Bengal, India", Journal of Contemporary Asia, 42(4): 651-75, 2012 (jointly with Uttam Bhattacharyya and Craig MacMillan). "Assessment of Multidimensional Poverty and Effectiveness of Microfinance-driven Government and NGO Projects in the Rural Bangladesh", Journal of Socio Economics, 41: 500-512, 2012 (with T. Chowdhury). "Integrating Trade in Education Services between Australia and India: Complementarities and Challenges", Journal of International Trade Law and Policy, 12(2): 133-47, 2012 (jointly with R. Islam and S. Alam). "Poverty Alleviation and Service Delivery: Government and Non-Government Organizations in Rural Bangladesh", Oxford Development Studies, 39(4): 427-452, December 2011, (jointly with T. Chowdhury). "The General Agreement on Trade in Services (GATS), Water and Human Rights from the Perspective of Developing Countries", Netherlands International Law Review, LVIII: 43-75, 2011 (jointly with S. Alam and D. Randle). "Reassessing the Relationship between Economic Growth and Inequality", Australian Economic Papers, June 2011, 30(2): 265-272 (jointly with Ha Vu). "Intellectual Property and Economic Development in India", Journal of Interdisciplinary Economics, 22 (4): 335-355 (jointly with Ankit Prakash and Uttam Bhattacharya), 2010. "Economics of Gender: The Case of Singapore", Journal of Interdisciplinary Economics, 21(4): 339-377, 2009 (jointly with G. Shantakumar). Book Review: "Applied Welfare Economics", The Economic Record, 83 (262), 2007. "Income Disparity Trends and Data Problems in Singapore: Some Myths and Realities", The Journal of Interdisciplinary Economics, 17(4), 2006. "World Income Inequality data base (WIID) Review", Journal of Economic Inequality, 2004 (2): 229-234,. "Wage Policy and its Effect on the Social Sector in Singapore", Problems and Perspectives in Management, 3/2004, 103-110. "Trends in Total and Subgroup Inequality in Singaporean Work Force", Asian Economic Journal, 17:3, September, 2003, 243-264. "Earning Inequality: The Singapore Case, 1974-98", Journal of Asia Pacific Economy, June 2003, 8(2): 210-228 (with V.V. Rao and D. S. Banerjee). "Trends in Income Disparity and Equality Enhancing (?) Education Policies in the Development Stages of Singapore", International Journal of Educational Development, 2003, 23: 37-56. "The Ordinal and Cardinal Judgment of Social Welfare Changes in Singapore, 1982-99", The Developing Economies, XLI, 1, March 2003, 65-87. "The Trend of Welfare Disparity Among Subgroups of Population in Australia 1983-84 –1993-94", Applied Economics, 2002, 14: 1733-1741. "Efficiency Criteria and the Sen-Type Social Welfare Function", Indian Economic Journal, April-June 2001-2002. "A Method to Analyse Trends in Inequality by Subgroup Decomposition", Asia Africa Journal of Economics and Econometrics, June 2002, 2(1): 58-66. Book Review: "Handbook of Development Policy and Management", Singapore Economic Review, 2002, 47(1): 183-87. "The Gini Coefficient – A Note", The Indian Economic Journal, April-June, 2001. 48(4): 65-67 (jointly with V.V. Rao). "Distribution of Income and Expansion of Education in Some East Asian Countries", Journal of Interdisciplinary Economics, 2001, 12(4): 327-357. "The Miracle of Low Income Inequality: Taiwan, 1976-97", Journal of Income Distribution, 2001, 10(1-2): 95-101 (jointly with V. V. Rao). "Changing Labour Force Gender Composition and Male-Female Income Disparity in Singapore", Journal of Asian Economics, 2001, 12(4): 547-68. "The Changing Pattern of Sources of Income and its Impact on Inequality: The Method and its Application in Australia, 1975-1994", Economic Record, September 2001, 77(238): 242-251 (jointly with N. Podder). "Unfashionable Economics Selected Contributions of Amartya K. Sen: 1998 Economics Nobel Laureate", New Zealand Economic Papers, June 2000, 34(1): 25-52 (jointly with S. Chatterjee). Book Review: "Linkages between Government Spending, Growth and Poverty in Rural India", Singapore Economic Review, Vol 45, No. 1: 95-98, 2000. "Inequality, Poverty and Prof. Amartya Sen", Productivity, April-June, 2000, 41(1): 130-141. "Poverty Alleviation: Some Policy Recommendation", Productivity, Oct-Dec, 1997, 38(3): 336-350. "Do Poverty Alleviation Policies Matter for Rural India? ", Development Bulletin, July, 1997, 42: 8-11. "Rural Poverty in India – Time Trend, States' Share and Policy Implications", Productivity, April - June 1994, 35(1): 148-156. "Population, Poverty and Employment in India", Economic and Political Weekly, April 17, 1993, pp. 775-776. Economic Growth and Income Inequality in China, India and Singapore: Trends and Policy Implications, Routledge, London and New York. 2011. ISBN: 978-0-415-61646-1 (hbk); 978-0-203-80926-6 (ebook) (with G. Shantakumar and B V Rao). "Demographics, Incomes and Development Issues Amongst Indians in Singapore", in K. Kesavpany, A. Mani and P. Ramasamy (eds), Rising India and Indian Communities in East Asia, Institute of South East Asian Studies: Singapore, 2008 (jointly with G. Shantakumar). "Inequality During an Economic Crisis: Evidence from Singapore", in Clem Tisdell (ed) Poverty, Poverty Alleviation and Social Disadvantage: Analysis, Case studies and Policies, Vol. 3 , Serial Publications: New Delhi, 2007 (jointly with Y. Chung). "Earnings inequality" and "Income inequality" in T. Fitzpatrick, N. Manning, G. Pascall, J. Midgely and H. Kwon (eds), The International Encyclopedia of Social Policy, Routledge, London, New York. 2006. "An Analysis of Severance Pay in India and Sri Lanka", (jointly with M. Asher) in Brassard, C. and Acharya, S. (eds)Labour Market: Regulation and Deregulation in Asia, Academic Foundation: New Delhi, 2006. "Crisis, Social Sector and Income Distribution in Singapore and Thailand", in F. Sjoholm and J Tongzon (eds), Institutional Change in Southeast Asia, pp. 91-126. RoutledgeCurzon, 2005. "Taxation for Environmental Efficiency and Issues of Income Distribution", (jointly with J. Thampapillai, S. M. Thangavelu and E Quah), Chapter 5 (pp 85-96) in Ashiobar, H., Deketelaere, K., Kreiser, L. and Milne. J. (eds), Critical Issues in Environmental Taxation: International and Comparative Perspectives - Volume II, Richmond Law and Tax, Richmond UK, 2005. "A Generalized Social Welfare Function and its Disaggregation by Components of Income: The Method and Application",Research on Economic Inequality, 2003, Vol 9, 245-264. "Equity, Efficiency and Social Welfare: An Application of Generalised Lorenz Dominance to New Zealand Income Data",Research on Income Inequality, 2003, Vol 9, 265-289 (with S. Chatteerjee and N. Podder). "Income Inequality", in Singapore Economy in 21st Century: Issues and Strategies, (ed.) A. T. Koh, K. L. Lim, W.T. Hui, V. V. B. Rao and M. K. Chng, McGraw-Hill, 2002, 95-111 (jointly with V.V.B. Rao). "Impact of the Economic Crisis on Higher Education in Singapore", in Impact of the Economic Crisis on Higher Education in East Asia: Country Experiences, (ed.) N.V. Varghese, International Institute of Educational Planning, UNESCO: Paris, 2002, 157-181 (jointly with G. Shantakumar). "Estimation and Decomposition of Social Welfare Function by Population Subgroup", Advances in Econometrics, Vol 8: 87-102, 1999. (jointly with N. Podder). "Changes in Income Inequality in Urban China: Urban People Versus Migrants", International Forum of Income Distribution & Celebrating 30th Anniversary of the CHIP Surveys, 27-28 October, 2018 Beijing Normal University, Beijing (with J. Yang and J. Xue). "A Potential Rail Link between Burma and India", 13th International Burma Studies Conference, 3-5 August, 2018, Bangkok. Organised by Centre for Burma Studies, Northern Illinois University (with L. Stubbs). "China-ASEAN Trade Relations and Trade Potential under China’s Belt and Road Initiative: Based on Intra-industry Trade and Gravity Model", 30th Annual Conference Chinese Economics Society Australia (CESA), China’s Economy in Xi Jinping’s "New Era", July 15-17 2018, Australia-China Relations Institute, University of Technology Sydney, Australia (with W. Jiang, and Y. Yang). "Firm Sorting and Productivity Distribution in China". 30th Annual Conference Chinese Economics Society Australia (CESA), China’s Economy in Xi Jinping’s "New Era", July 15-17 2018, Australia-China Relations Institute, University of Technology Sydney, Australia (with Y. Yang and Y. Zhuangxiong). "Multidimensional Poverty Analysis for Armenia", The Armenian Economic Association 2017, June 23-25, 2017, Venue: Yerevan, Armenia (with A. Grigoryan). "Review and Evaluation of China's Urban Housing System Transformation - From an Urban Housing Shortage to a Backlog in the Centralized Economy". 2017 Asian Real Estate Society and Global Chinese Real Estate Congress Academic Conference Sponsoring organisation: Global Chinese Real Estate Congress; Asian Real Estate Society; Taiwan Institute of Housing and Taichung City Government (with S. Yuan). “Multidimensional Poverty in Central and West Asia”, Good Job For Inclusive Growth in Central and West Asia, Asian Development Bank Institute, Tokyo Japan, 56 October 2016. “Poverty in Multiple Dimensions”, Peking University Department of Economics Seminar, Beijing, China, December 9, 2016. “Influence of External Collaborations and Government R&D Support Policies on Firm Innovativeness: Econometric Evidence from India" Singapore Economic Review Conference, 4-6 August, 2015, Singapore. Multidimensional Poverty in Southeast Asia, Workshop organized by Asian Development Bank, Manila, Philippines, 18 August- 22 August, 2015. "Two Decomposition in Gini and Inequality in China", Nanyang Technological University, Singapore, September 30, 2014. "Income Inequality Trend in China", China Income Distribution in the New Era Conference at Jinguo Garden Hotel, Beijing 6-7 January 2012, Organized by: Institute of Population and Labour Economics, Chinese Academy of Social Sciences. "Some Policy Directions for Arresting China's Increasing Inequality", First Annual Workshop on Economic and Policy Development in East Asia, Bond University, Gold Coast, 13-14 October, 2011. "Income Inequality in China: Some Issues", Singapore Economic Review Conference, Singapore, 4-6 August, 2011. "Multidimensional Poverty and Efficiency of Government and NGOs in Rural Bangladesh", 4th Poverty and Social Protection Conference (organized by Tomorrow People Organization), Bangkok, Thailand, March 1-3, 2011 (with T. Chowdhury). "Gender Bias of Government Agencies and NGOs in the Provision of Services to the Rural Poor in Bangladesh", 12th International Conference of East Asian Economic Association, October 2-3, 2010; Seoul, South Korea (with T. Chowdhury). "Developing and validating a multi-dimensional scale to perform efficiency analysis of the service providers in poverty alleviation programs in Bangladesh", 80th Annual Conference of Southern Economic Association, November 20-22, 2010; Atlanta, Georgia, USA (with T. Chowdhury). "Income Inequality in China: Exploration into measurement and trends", Global Asia Institute Speaker Series (invited speaker), 26 May, 2010, National University of Singapore (invited speaker). "Process Patent to Product Patent", University of Kolkata, India, March 2-4, 2010 (invited speaker). "Education and Child Labour in West Bengal", Indian Institute of Development Studies, Kolkata, India, February, 16-17, 2009 (invited speaker). "Ageing and Gender Inequality in Singapore", Annual London Conference on Money, Economy and Management, Organized by World Business Institute at Imperial College, London, 3-4 July, 2008. "Indo-Australian Economic Relations Since 2000", Indian Institute of Development Studies, Kolkata, India, February, 26-27, 2008. "NHA Classification, Data Collection and Interpretation", Workshop on National Health Accounts (NHA) for Pacific Island Countries, Organized by WHO at Sydney, 26-29 November, 2007 (jointly with Osmat Azzam). "Australia-India Bilateral Trade Relations", International Conference of Human Development and Trade, Kolkata, India, February 20-21, 2007. "The Indian Diaspora in Singapore: Demographics, Incomes and Development Issues", International Conference on Rising India, Singapore, 26-27 October, 2006 (invited speaker). "Position of Older Women: Issues and Policy Challenges in Asian Context", Singapore Economic Association Conference, Singapore, August, 2006 (invited speaker). "Severance Pay in India and Sri Lanka", presented at the International Conference of Regulation and Deregulation of Labour Market. Singapore, March 2004. "Severance Pay in Selected Asian Countries: A Survey", presented at the International Workshop on Severance Pay Reform: Towards Unemployment Savings and Retirement Accounts. Laxenberg/Vienna, November 7-8, 2003. "Changes in Social Welfare in Singapore", presented at 32nd Conference of Economists. Manning Clark Centre, Canberra, Australia. 29 September-1 October, 2003. "Taxation for environmental efficiency and issues of income distribution", National University of Singapore and University of Tokyo Joint Workshop, to be presented at National University of Singapore, 26-27 November, 2002 (jointly with Dodo Thampapillai). "Generalized Social Welfare Function and its Disaggregation", The Conference on Welfare and Labour Market in EU, Marseille, France, October 25-26, 2002. "Crisis, Social Sector and Income Distribution in some SE Asian Countries", Second workshop on Institutional Change in Southeast Asia in the Wake of Asian Crisis organized by Stockholm School of Economics and Department of Economics, National University of Singapore, 10-11 June 2002, Stockholm School of Economics, Sweden. "Did Economic Crisis affect Higher Education in Singapore", in the joint workshop organized by University of Nottingham, UK and Department of Economics, National University of Singapore, 4-5 April 2002, National University of Singapore. "Crisis, Social Sector and Income Distribution in some S.E. Asian Countries", First workshop on Institutional Change in Southeast Asia in the Wake of Asian Crisis organized by Stockholm School of Economics and Department of Economics, National University of Singapore, 23-24 November, 2001, National University of Singapore. "Social Welfare Function: A Non-Paretian Form and its Disaggregation", 16th Annual Congress of the European Economic Association, August 29 - September 1, 2001, Lausanne, Switzerland. "A Generalized Social Evaluation Function and its Disaggregation by Components of Income: The Method and Application", Far Eastern Econometric Conference, July 20-22, 2001, Kobe, Japan. "Economic Crisis and Higher Education in Singapore", UNESCO Policy Forum on Economic Crisis and Higher Education in East Asia, 29-31 January, 2001, Malaysia (with G Shantakumar). "An Investigation of Regional Welfare Disparity in Australia using a Generalised Social Welfare Function", Southern Economic Association Conference, Washington DC, November 12-14, 2000. "Income Gap and Educational Opportunity in Some South East Asian Countries: Government Efforts in Bridging Inequality", Eighth Malaysia Singapore Forum, University of Malaysia, 19-21 October, 2000. "The Trend of Welfare Disparity among Age Groups in Australia", Melbourne University and National University of Singapore Joint Symposium, Melbourne University, June 8, 2000. "A Non-Paretian Social Evaluation Function and its Disaggregation by Subgroups of Population", Auckland Institute of Technology Business School Seminar Series, New Zealand, May 21, 1999. "Social Evaluation Function: A Non-Paretian Form and its Disaggregation", Massey University Applied Economic Research Seminar Series, Palmerston North, New Zealand, February 2, 1999. "An Overview of Australian Property and Construction Industry", Asia Construct Conference, Tokyo, Japan, 14-15 October, 1998 (with Deepak Bajaj and Dennis Lenard). "Social Evaluation Functions: Some Alternative Forms", 25th Conference of Economists, Canberra, Australia, 23-25 September, 1996. "Welfare Disparity among Subgroups of Population in Australia", 24th Conference of Economists, Adelaide, Australia, 25-27 September, 1995 (with N. Podder). Ad hoc reviewer of several journals including Economic Modelling,Applied Economics, Social Indicators Research, World Development, Economic Record, Empirical Economics, Journal of Asian Economics, Journal of Economic Inequality, Journal of Income Distribution, Barkley Electronic Journal of Economics and Policy analysis, Singapore Economic Review, Malaysian Economic Review, Research on Economic Inequality, Asia Pacific Economic Journal, Asian Economic Bulletin, Review of Developing Economics, Journal of Asia Pacific Economy. Reviewer of several books by Routledge, Macmillan, Prentice Hall. Reviewer of Southern Economic Conference, Singapore Economic Conference, Australian Economic Conference, Ecopolitics XV Conference and European Economic Conference. Visiting Associate Professor, Global Asia Institute, National University of Singapore, March-July 2010. Secretariat, World Health Organization Workshop on National Health Accounts for Pacific Island Countries, 2007. Reviewer of Macquarie University New Staff Grant Applications. Moderator, Discussant: Wage and Labour Panel of the conference on Regulation, De-regulation and Re-regulation in Globalizing Asia, Singapore, March, 2004; Conference on Welfare and Labour Market in EU, Marseille, France, October, 2002; National University of Singapore and University of Tokyo Joint Workshop, at National University of Singapore, 26-27 November, 2002. 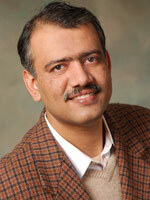 Member of the editorial board of Asia Africa Journal of Economics and Econometrics. Osmat Azzam - "Health Accounts to formulate health financing policy for the poor – Middle East and North Africa and East Asia and Pacific"
Sigit Triandaru - "The role of cultural differences and morality"
Tamgid Ahmed Chowdhury - "Efficiency of Alternative Poverty Alleviation Programs in Bangladesh"
Mohammod Lutful Kabir - "Poverty Reduction through Rural Non-Farm Economy (RNFE) Development in Bangladesh"
Paul Adjei Onyina - "The Role of Microfinance in Poverty Reduction: Ghana as a case Study"
MD. Al-Amin Pramanik - "Poverty and Gender Inequality: the case of Ready Made Garment Workers in Bangladesh"
Last Updated: 2018-11-15 17:38:27 by Laura Billington.